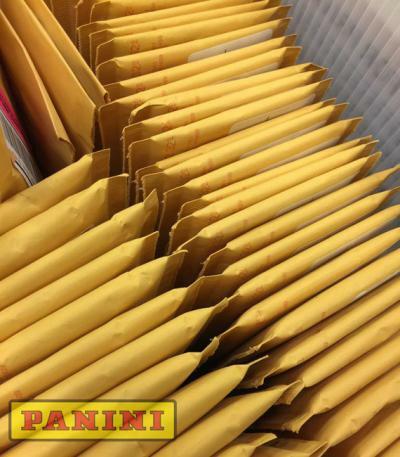 In an effort to keep collectors updated on the status of those Panini America redemption cards that are currently being processed, we’ll post a list every week, like the one included in the attachments below, detailing the most recent cards being fulfilled this week. The following list is intended to inform collectors about which redemption cards from which products are being processed this week. We’ll update this list every week so stay tuned next week if you don’t see your card here. These weekly reports often include “rebatched” redemptions — cards from widely broken products that have been previously redeemed but required subsequent shipments due to high volume. In some cases, the cards listed have been fulfilled with replacement cards.